In the past six years, some of the largest logistics operators in Brasil have implemented ArMHAzena® WMS in their operations. This does not happen by chance, the sector of service providers, which includes logistical operations, is one which has most grown and improved in the Brazilian market. 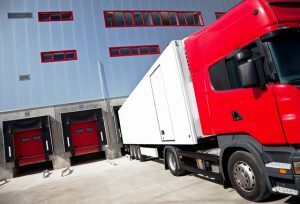 Many companies have outsourced their operations, and new investors increasingly adhere to the acquisition and investment in companies that provide logistics services. In this context, arMHAzena® is the ideal tool, as it controls not only the management of the warehouse, incorporating all contract and collection rules for services provided, but also encompasses the whole supply chain, capable of managing all the logistics of receipt, delivery and transportation, as well as 4th party services and their charges, within the operation. ArMHAzena® WMS distinguishes itself in the logistics operations sector for its technology and scope at all levels of management, as well as for being easily replicated for the management of new distribution centers and adhering to new contracts with minimum investment. Upgrade your company’s inventory management technology and take full advantage of all the benefits MHA can bring to your business. Contact MHA today, and learn more about, WMS arMHAzena®.